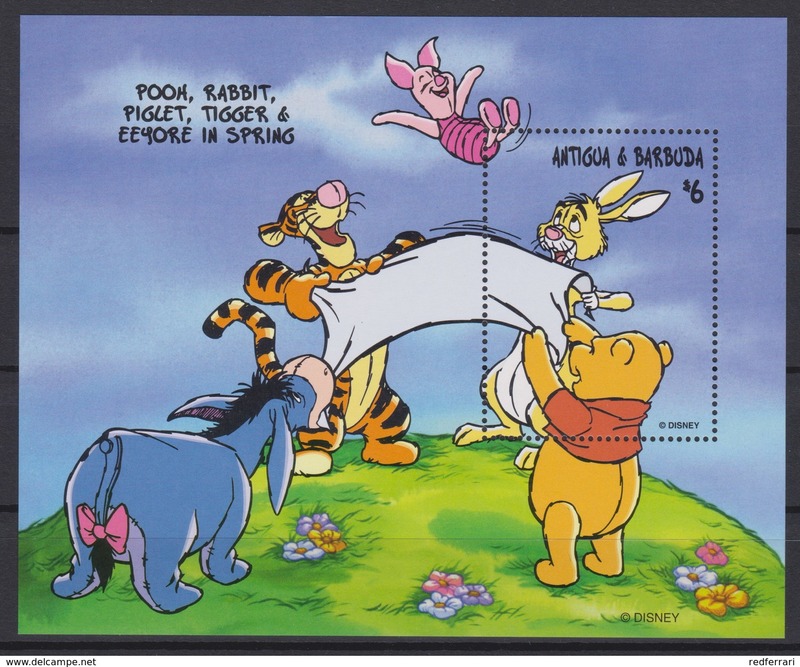 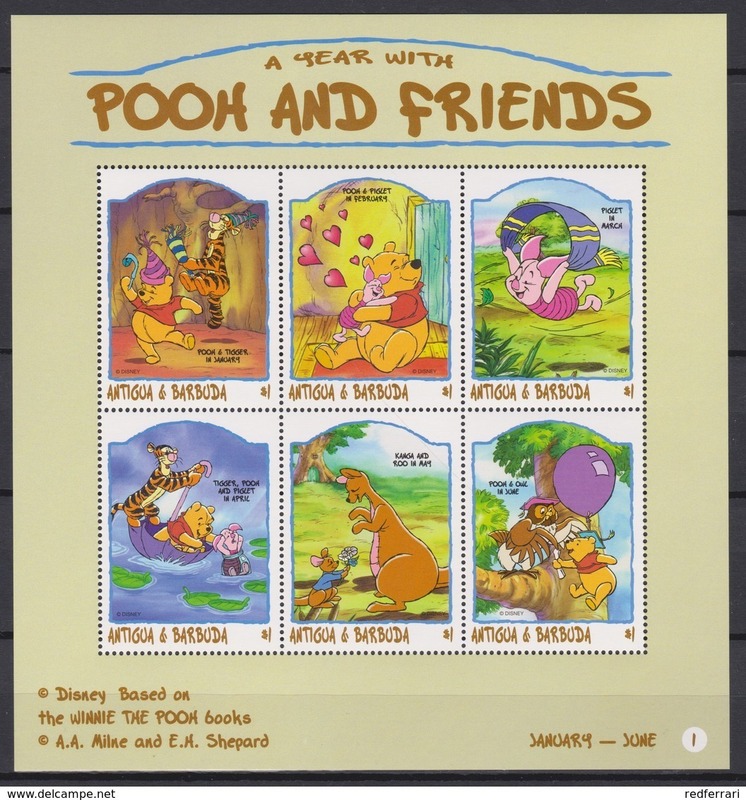 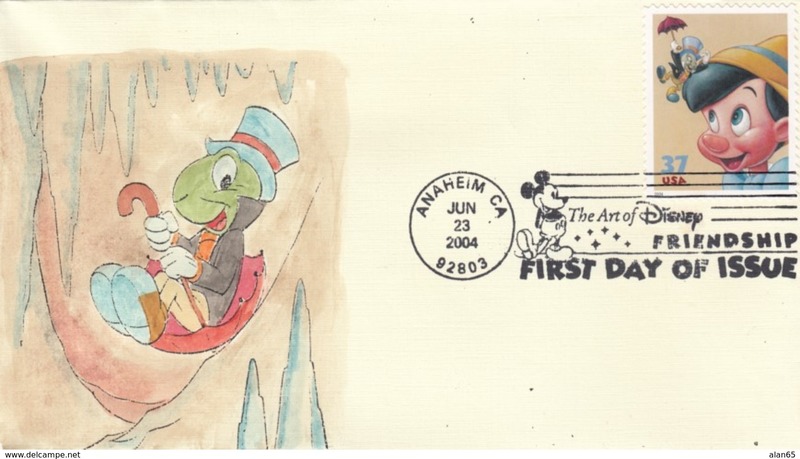 New 2433/2 Walt Disney Antigua & Barbuda 1998 - Winnie the Pooh and Friends over the Months . 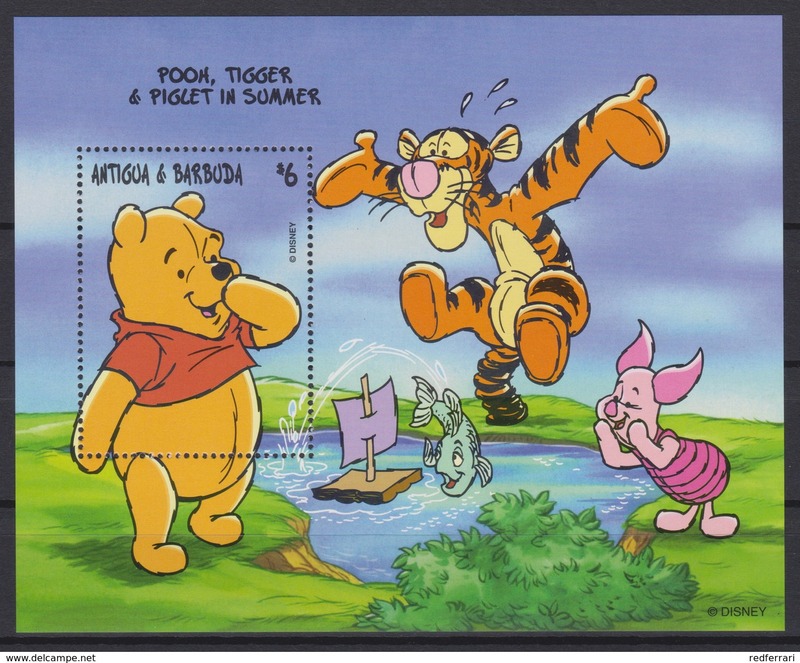 New 2433 Walt Disney Antigua & Barbuda 1998 - Winnie the Pooh and Friends over the Months . 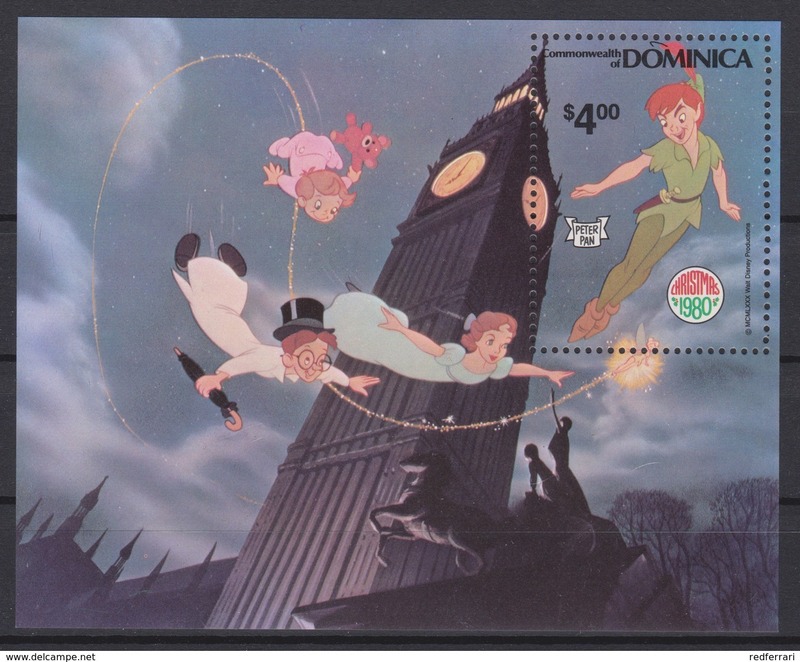 2439 Walt Disney Commonwealth of Dominica 1980 ( Christmas 1980 ) Peter Pan . 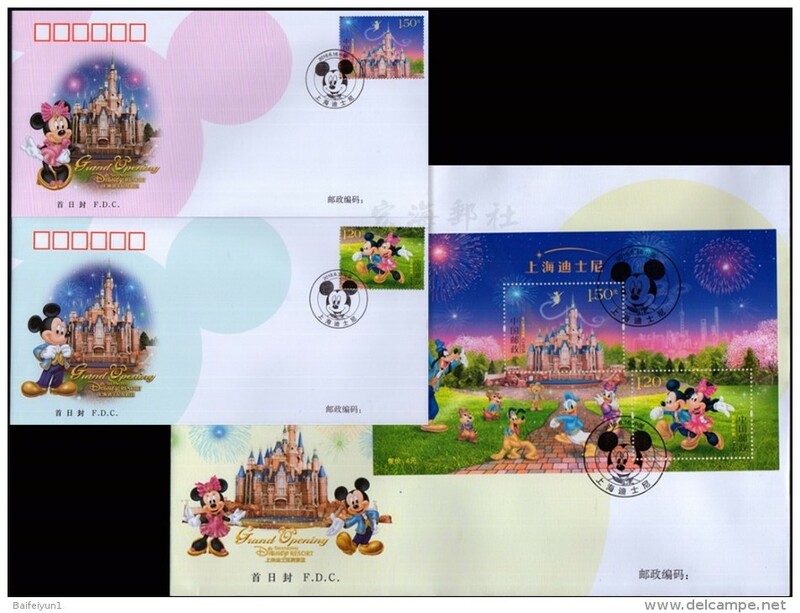 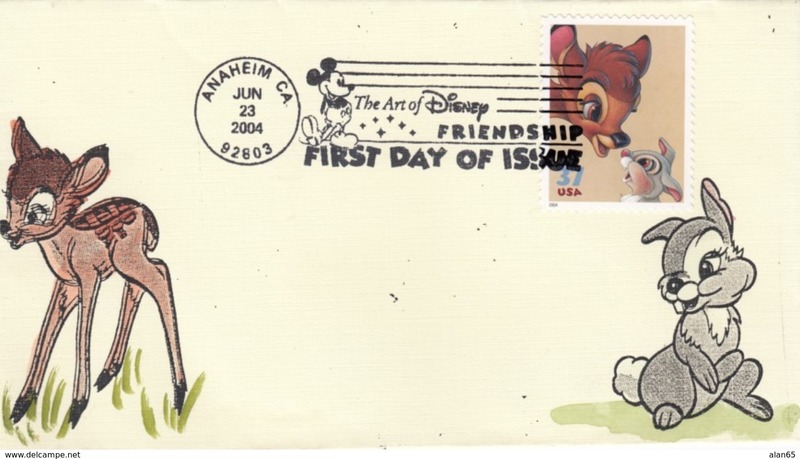 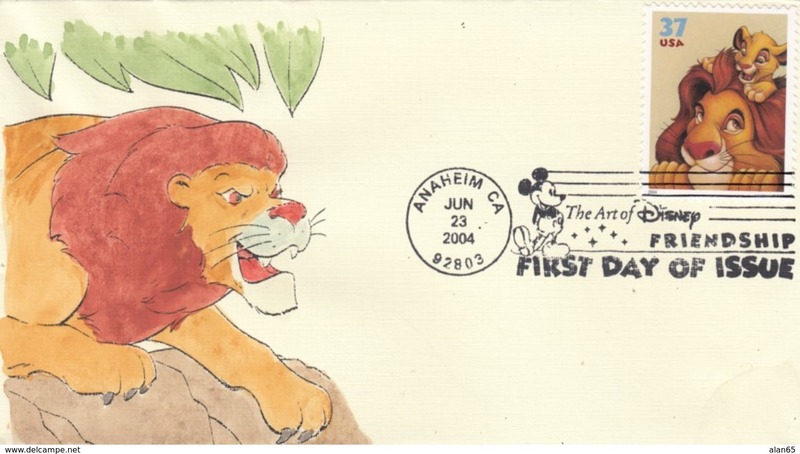 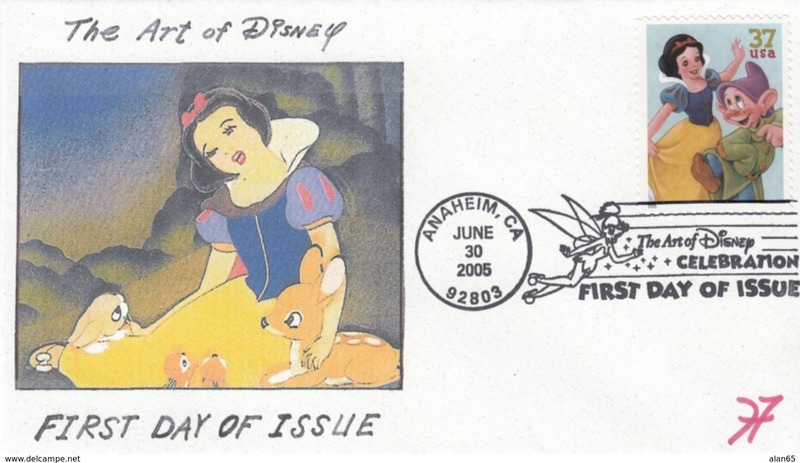 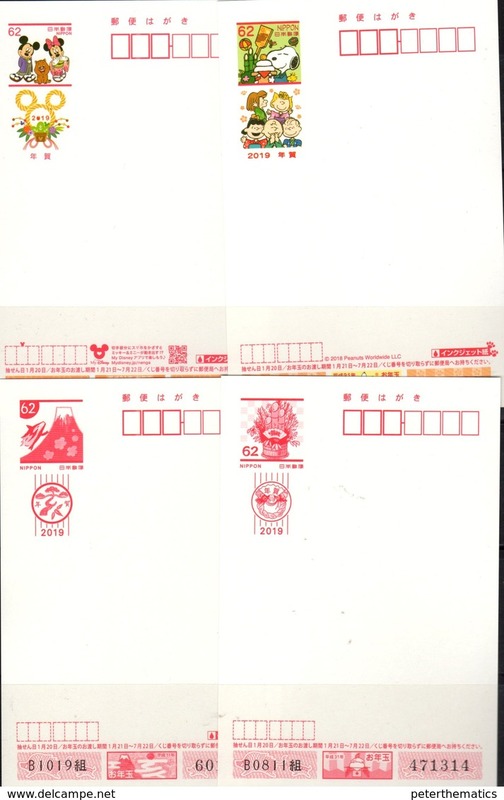 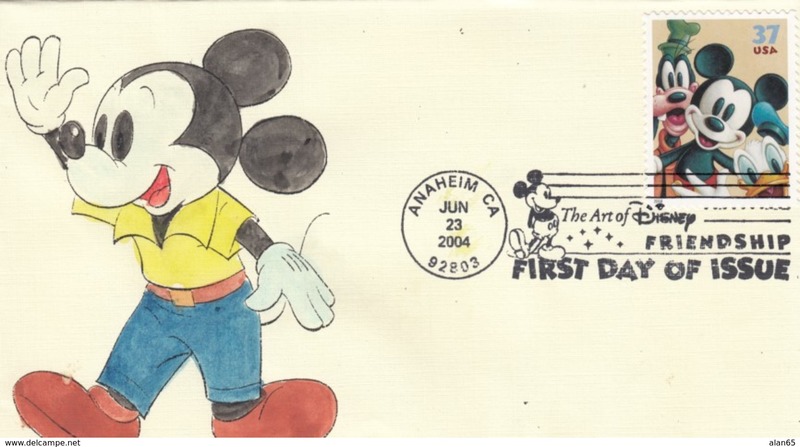 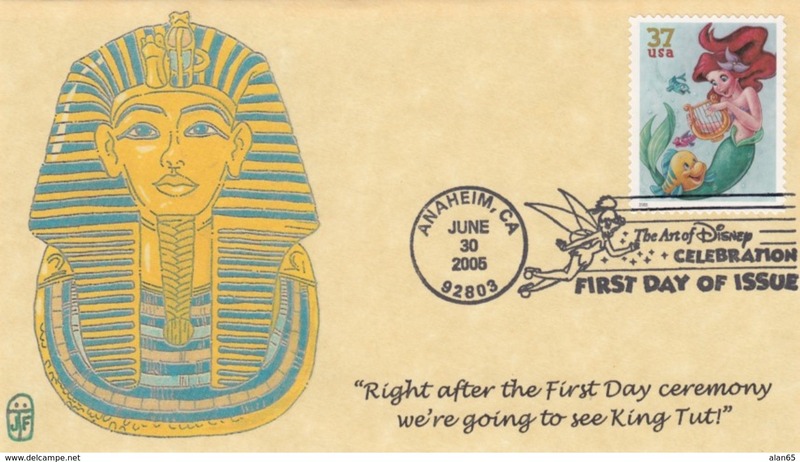 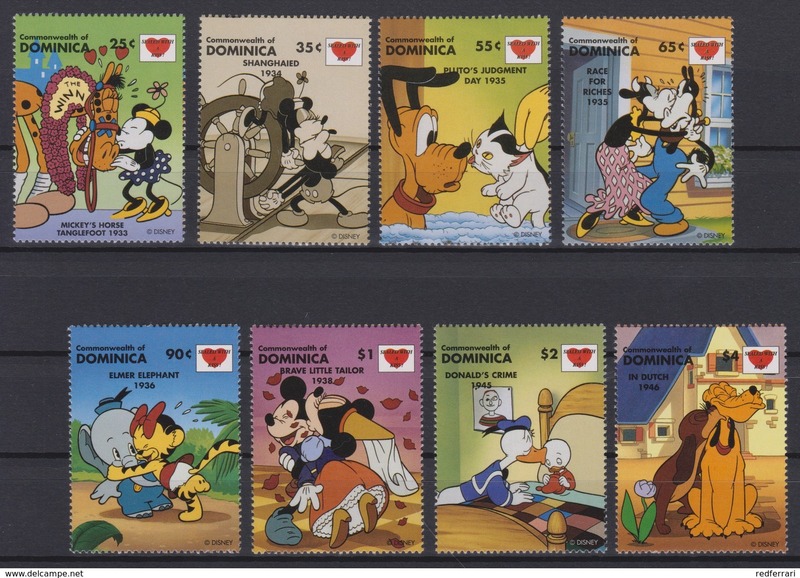 2442 Walt Disney Commonwealth of Dominica 1997 ( Kissing Drawings of Walt Disney ) . 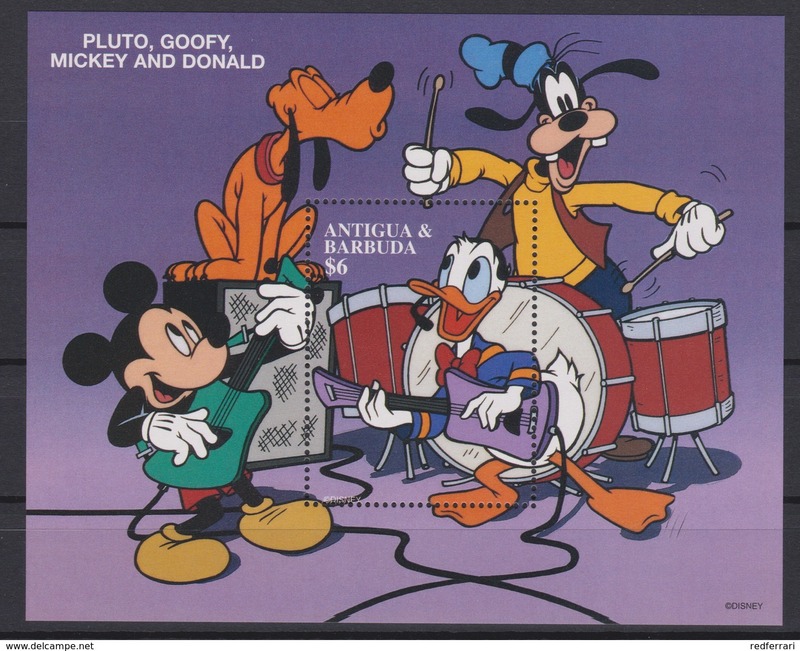 2434 Walt Disney Antigua & Barbuda - 1997 - Mickey and his Friends Drawings of Walt Disney Productions . 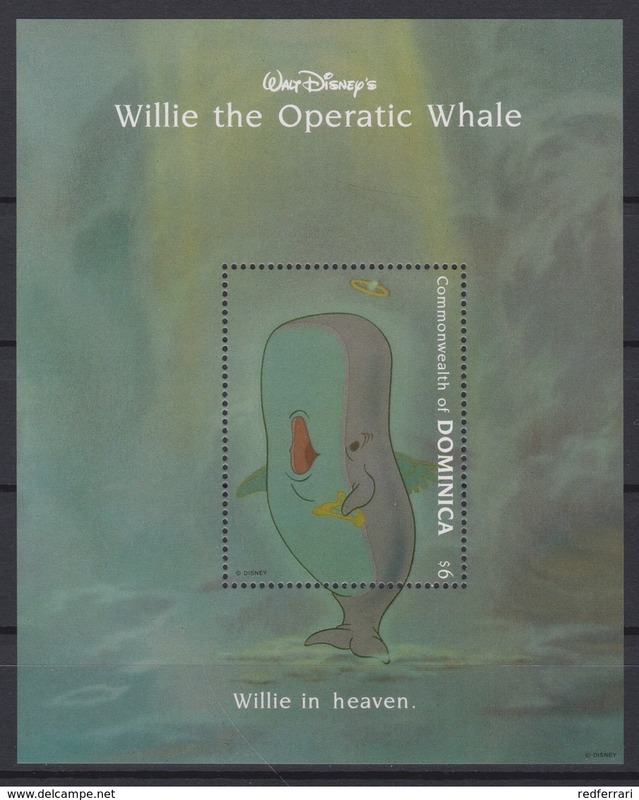 2444 Walt Disney Commonwealth of Dominica 1993 ( Willie the Operatic Whale ) Willie in Heaven . 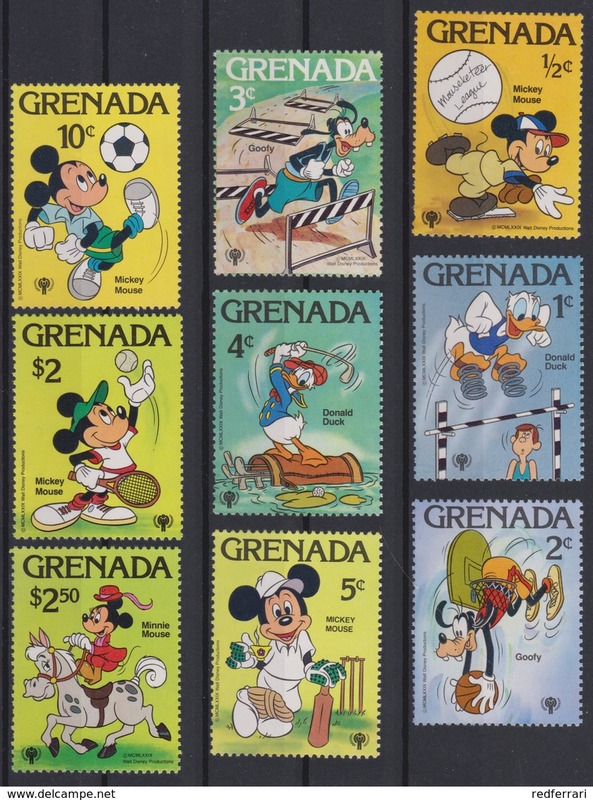 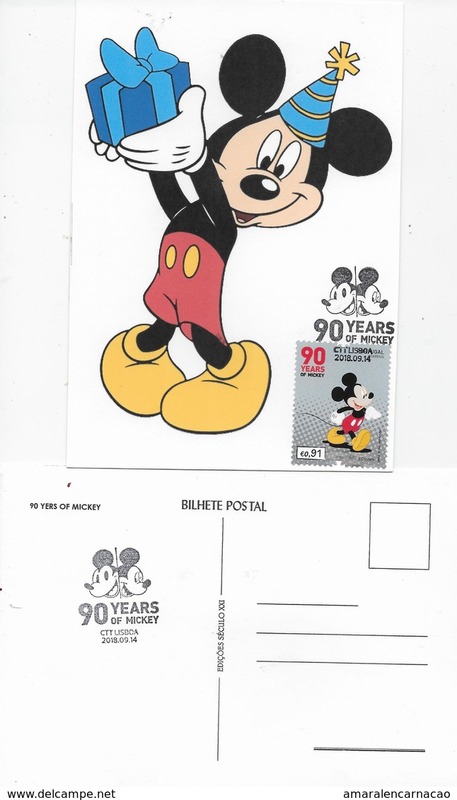 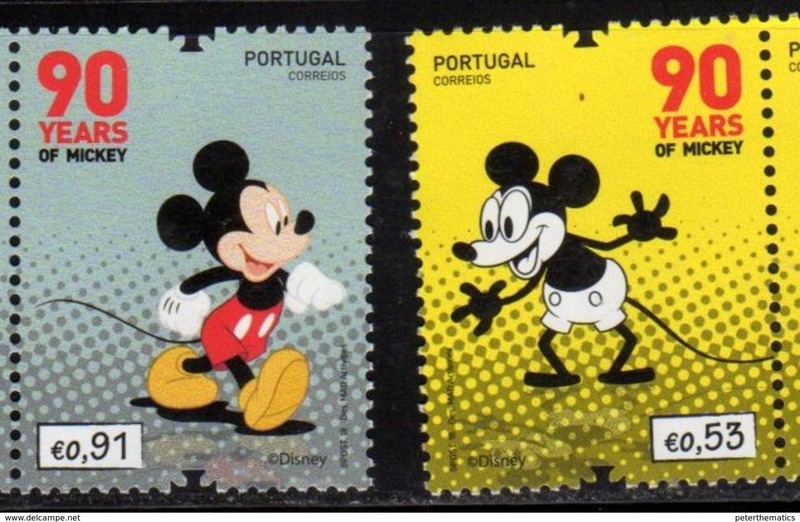 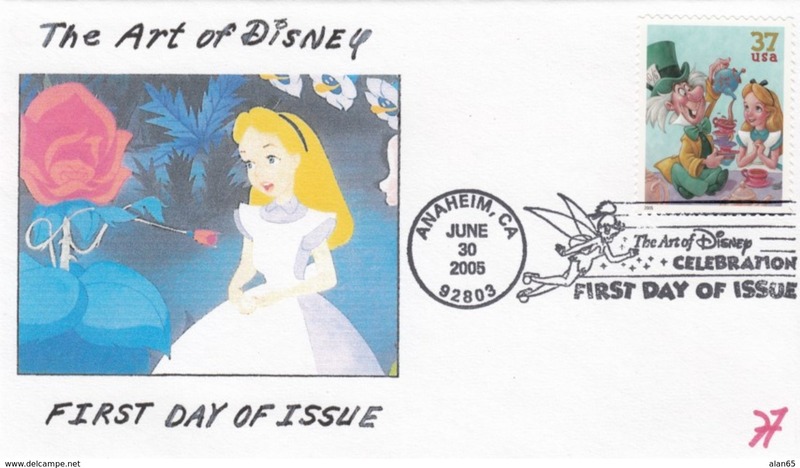 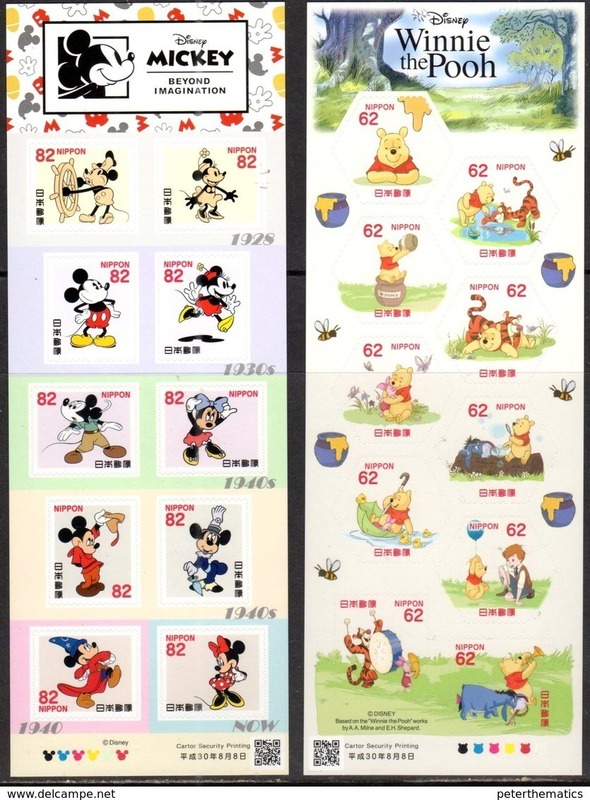 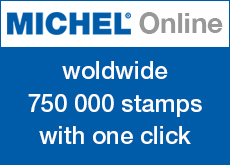 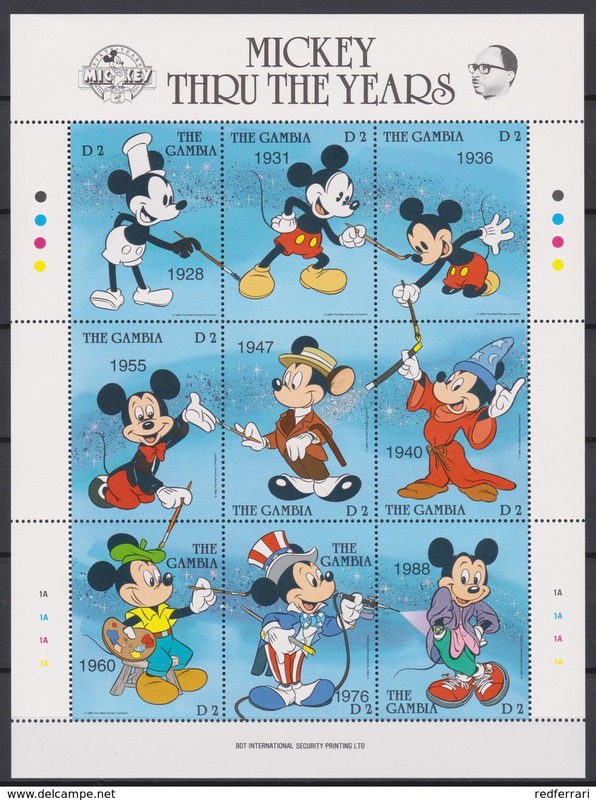 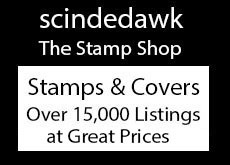 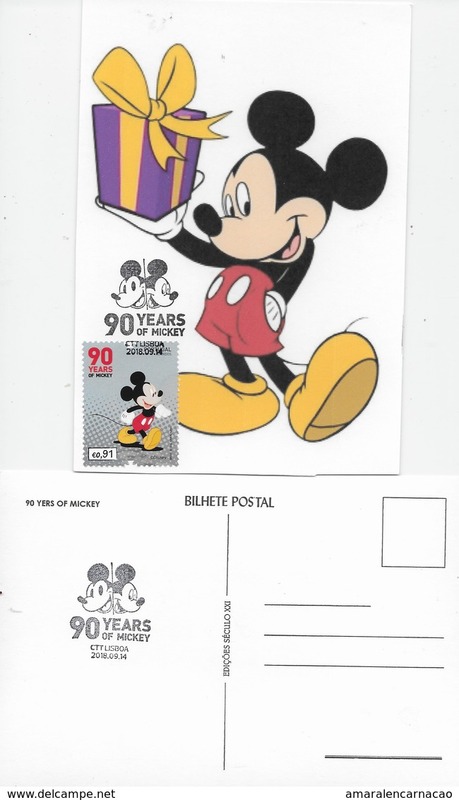 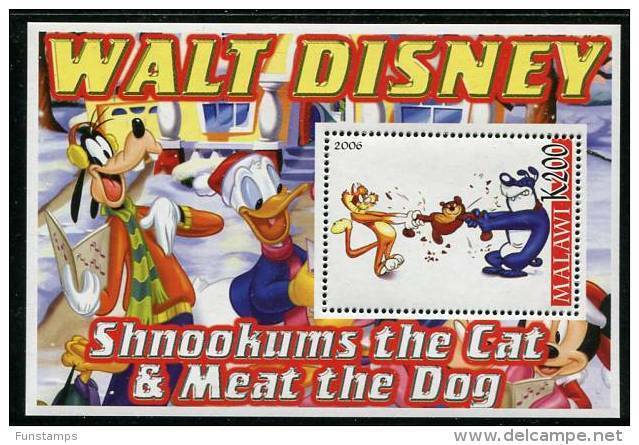 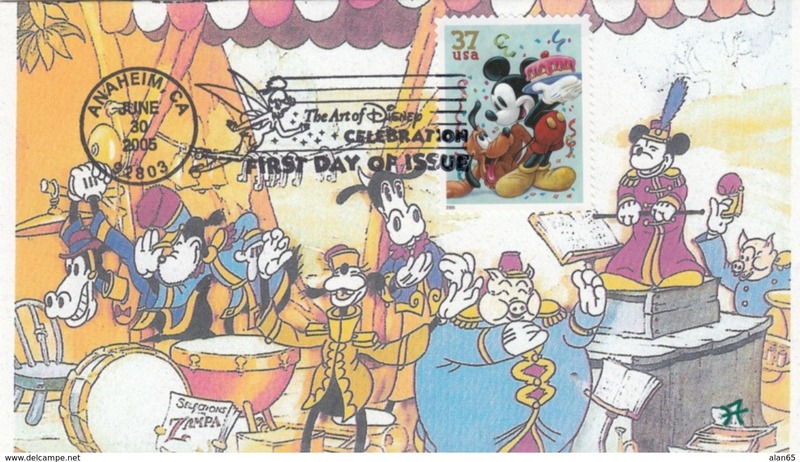 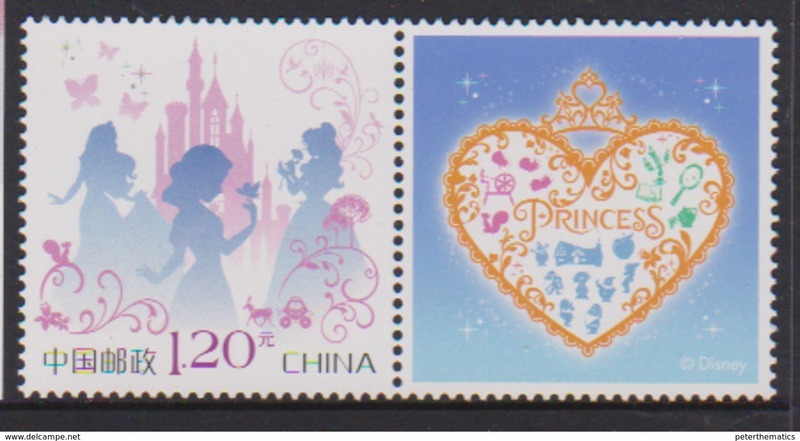 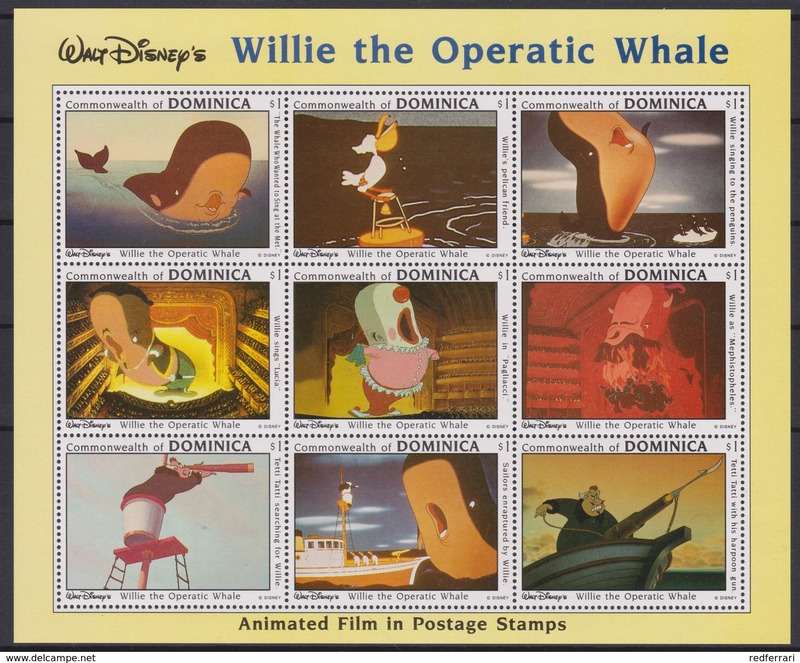 2443 Walt Disney Commonwealth of Dominica 1993 ( Willie the Operatic Whale ) Animated Film in Postage Stamps . 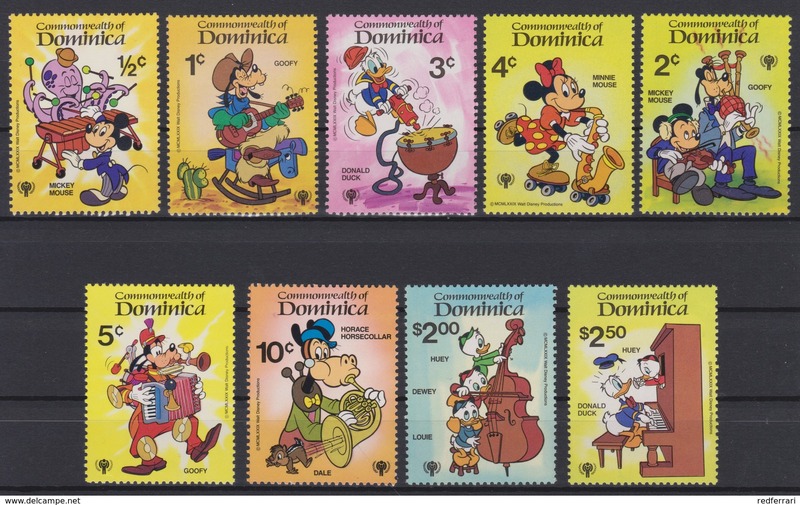 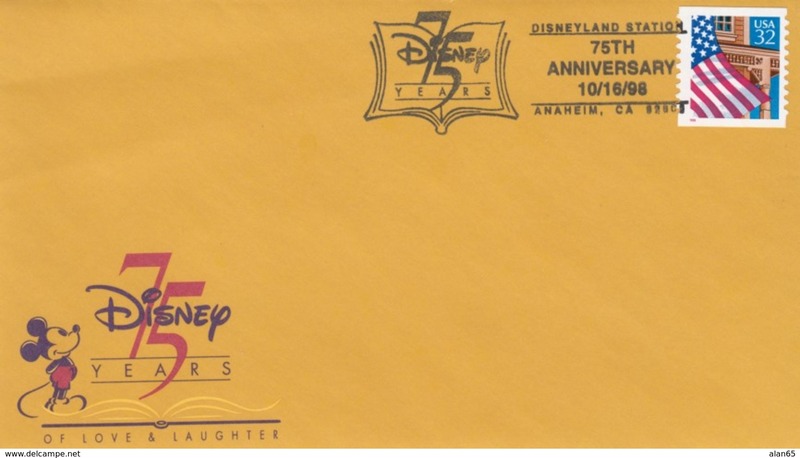 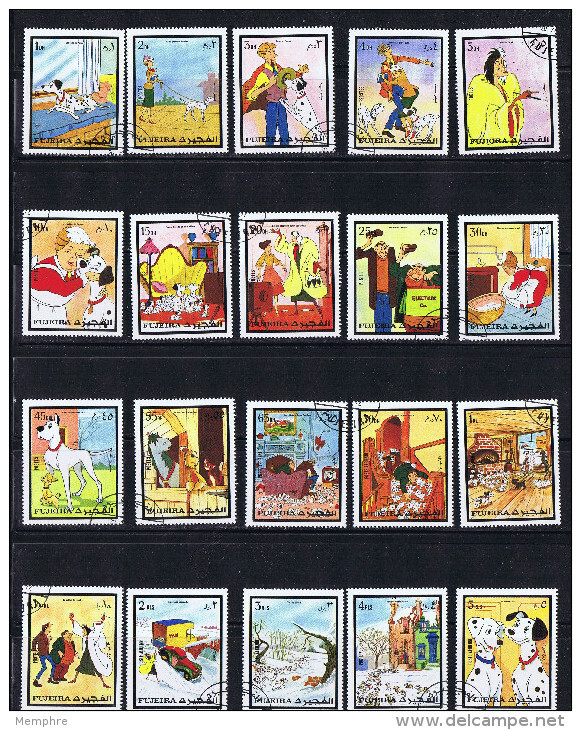 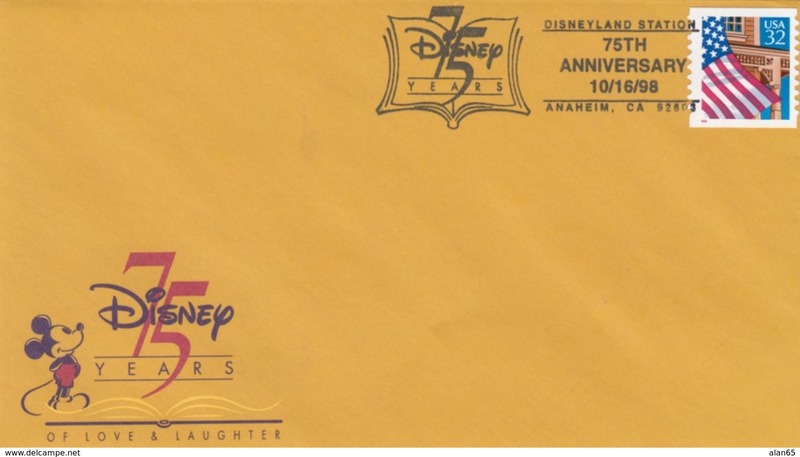 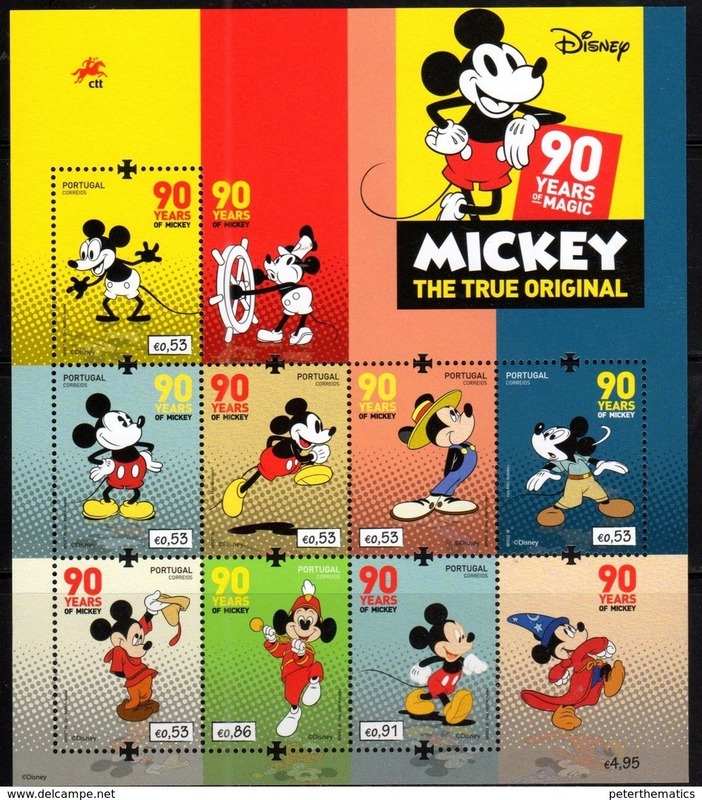 2440 Walt Disney Commonwealth of Dominica 1979 International Year of the Child ( Personages de Walt Disney ) . 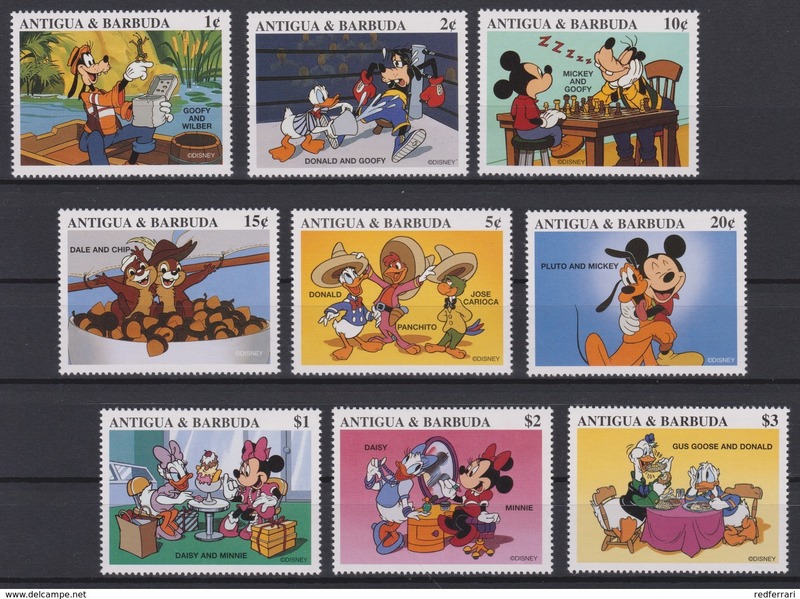 2436 Walt Disney Antigua & Barbuda - 1997 - Mickey and his Friends Drawings of Walt Disney Productions . 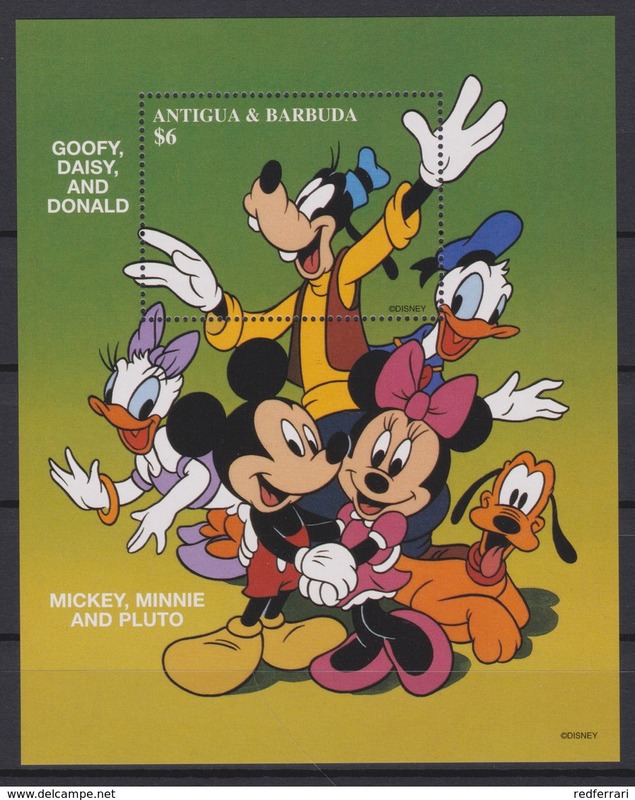 2435 Walt Disney Antigua & Barbuda - 1997 - Mickey and his Friends Drawings of Walt Disney Productions . 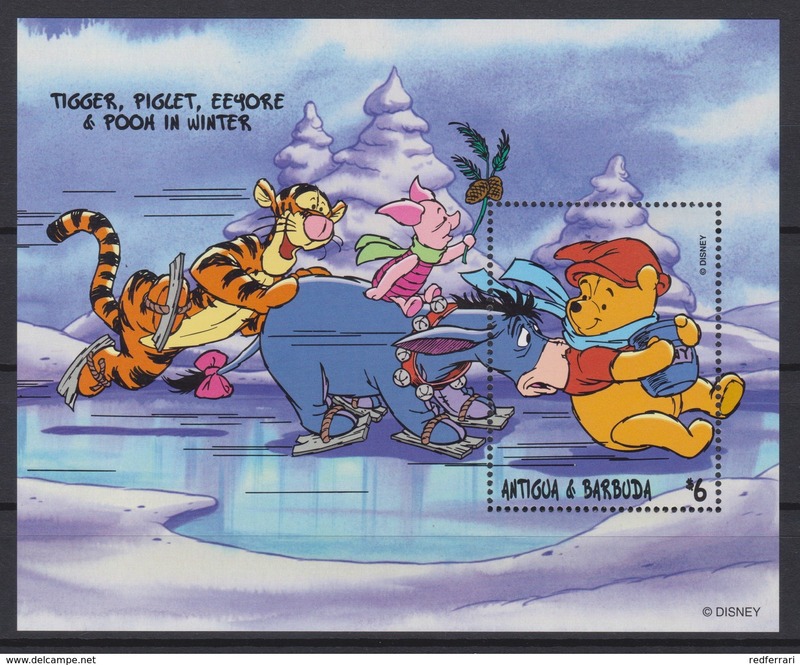 2432 Walt Disney Antigua & Barbuda 1998 - Winnie the Pooh and Friends over the Seasons . 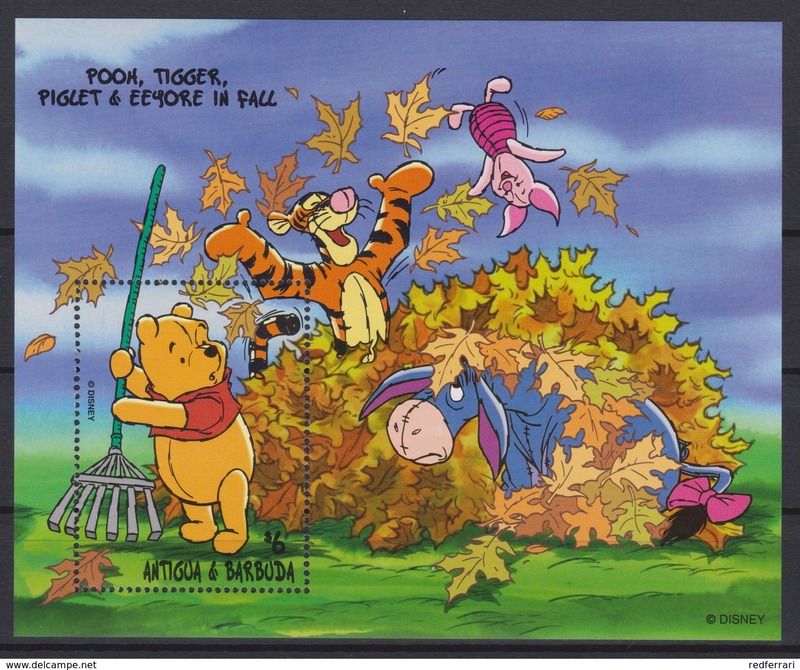 2431 Walt Disney Antigua & Barbuda 1998 - Winnie the Pooh and Friends over the Seasons . 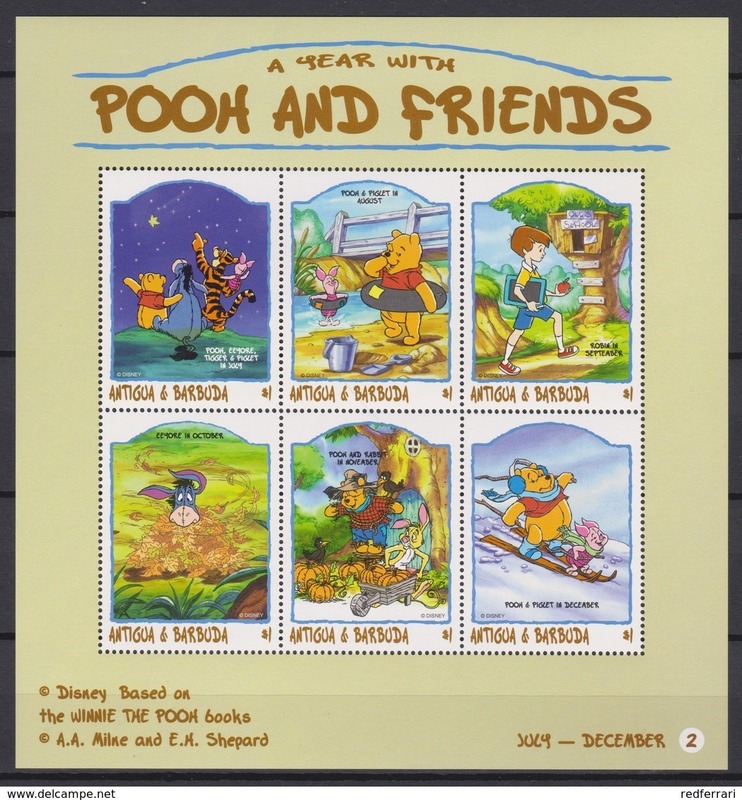 2430 Walt Disney Antigua & Barbuda 1998 - Winnie the Pooh and Friends over the Seasons . 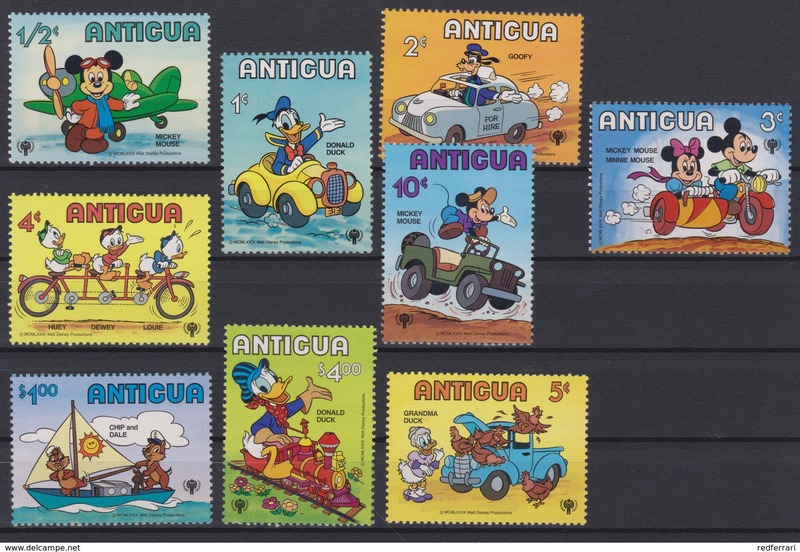 2427 - Walt Disney Antigua - 1980 - International Year of the Child . 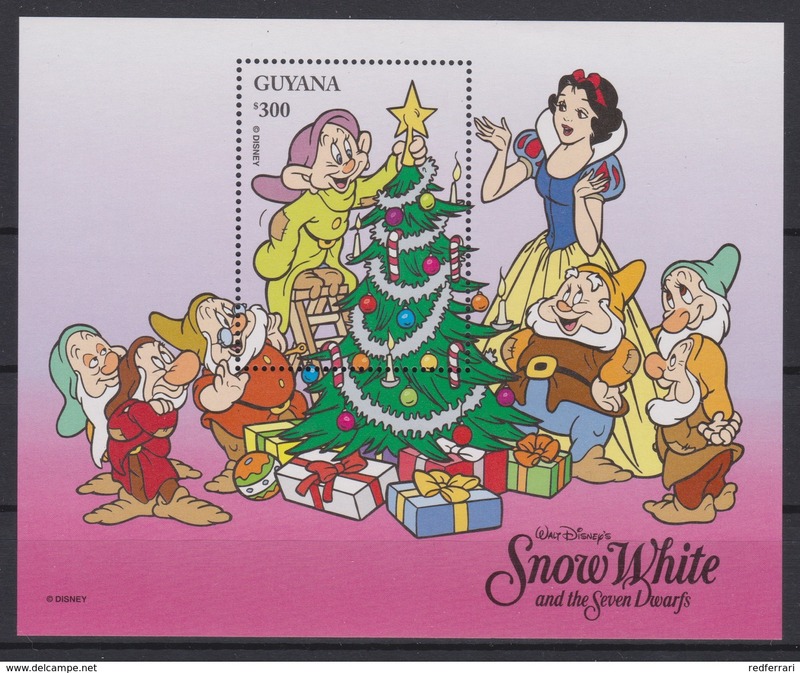 2426 - Walt Disney Antigua - Christmas 1980 ( Sleeping Beauty ) . 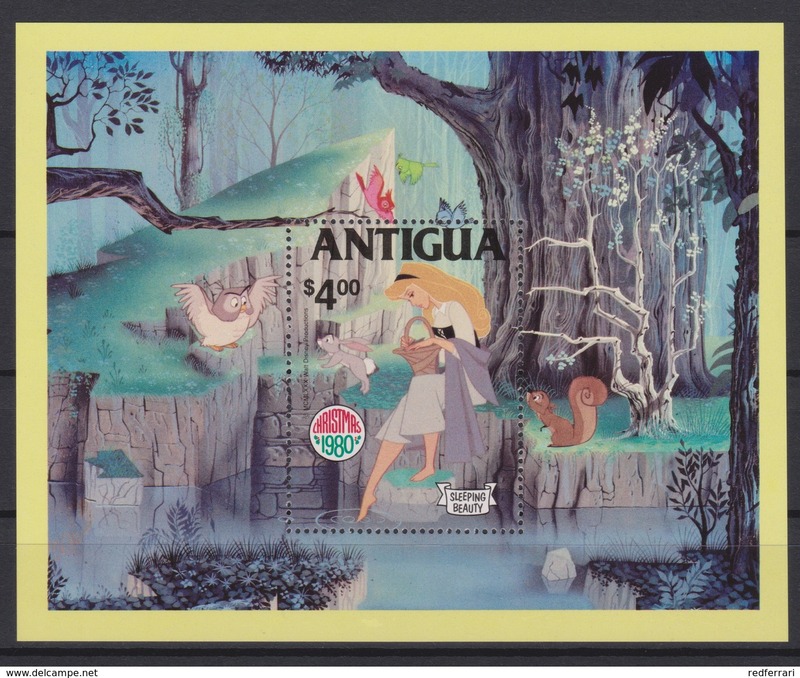 2096 WALT DISNEY - ANTIGUA & BARBUDA ( International Literacy Year ) Illustrations of Works of Dickens . 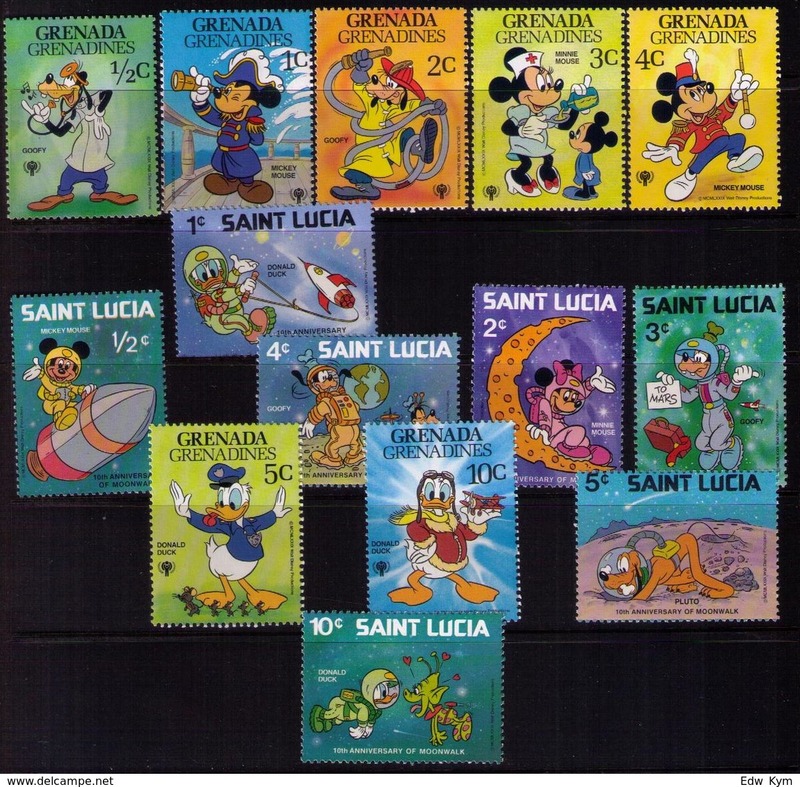 2216 WALT DISNEY - GRENADA ( International Youth Year ) Characteres de Walt Disney,Emblem of the Year of the Child . 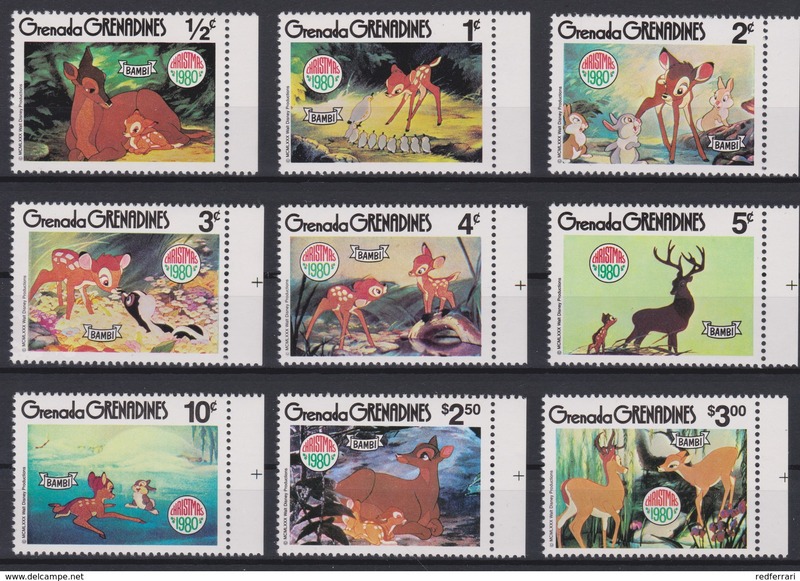 2261 WALT DISNEY - Grenada Grenadines ( Christmas 1980 ) BAMBI - illustrations With the Characters in Walt Disney . 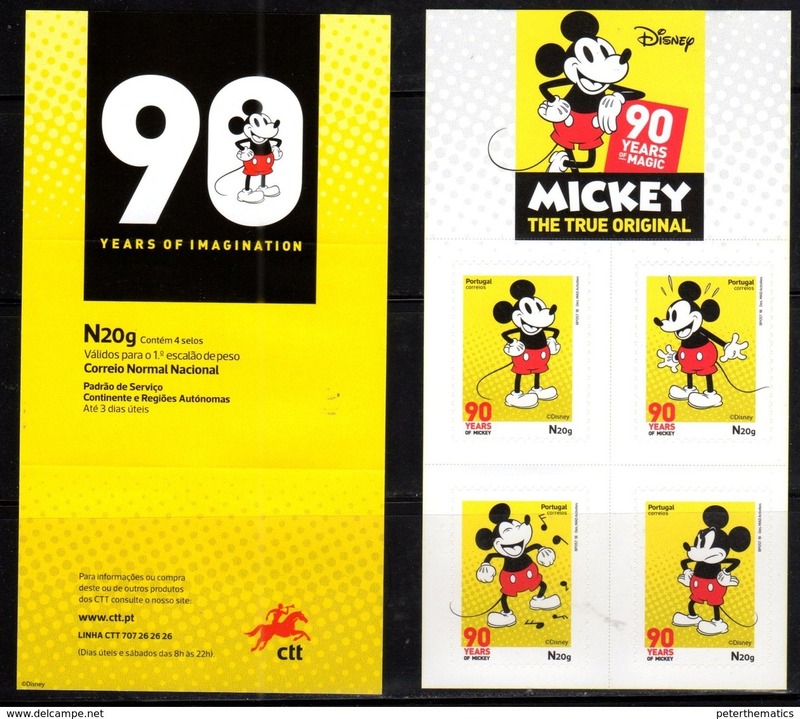 2343 WALT DISNEY - The GAMBIA ( Mickey Thru The Years ) 60 th Anniversary a Mic-The Characters of Mickey,Seen in Time. 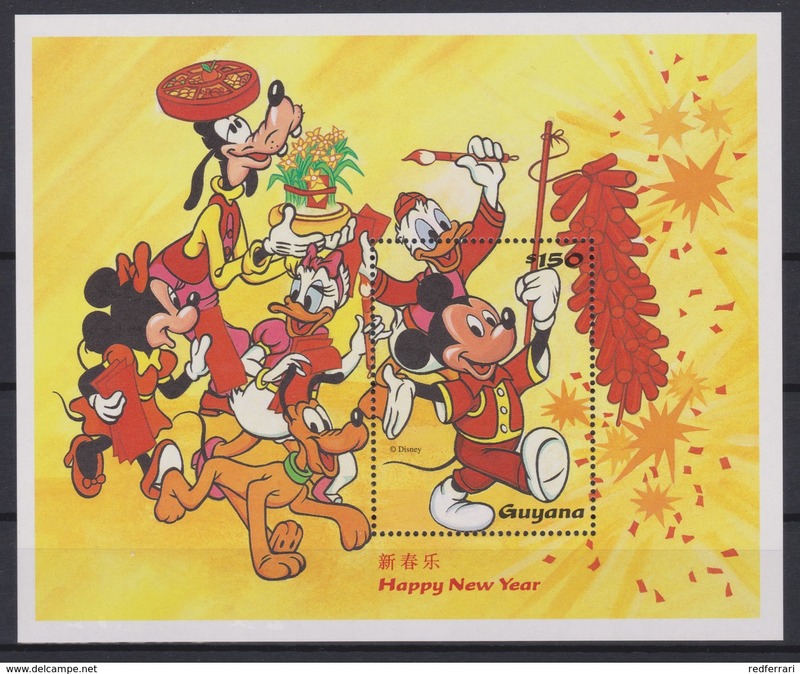 2342 WALT DISNEY - GUYANA ( Happy New Year ) Mickey and his Friends Celebrate the Year of the OX . 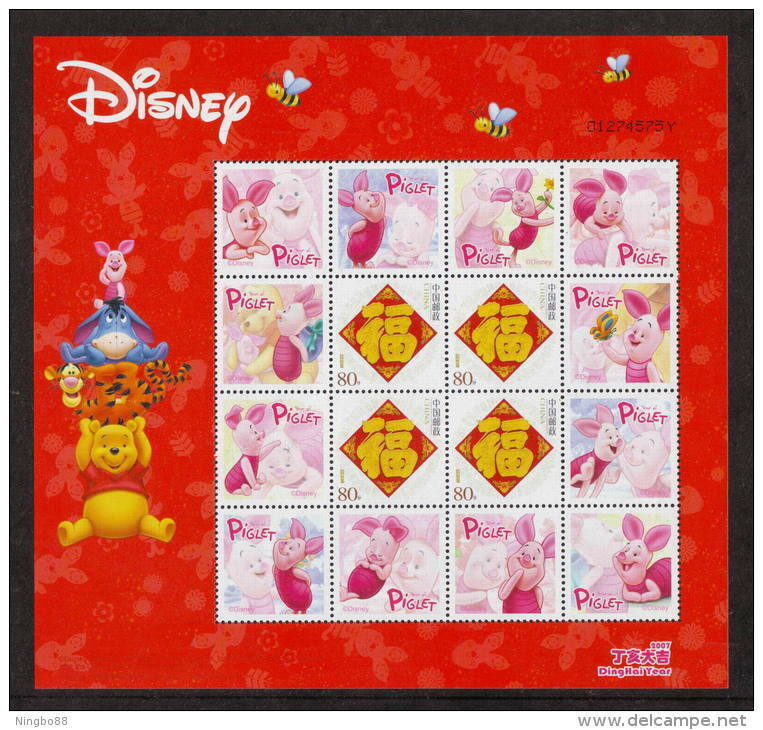 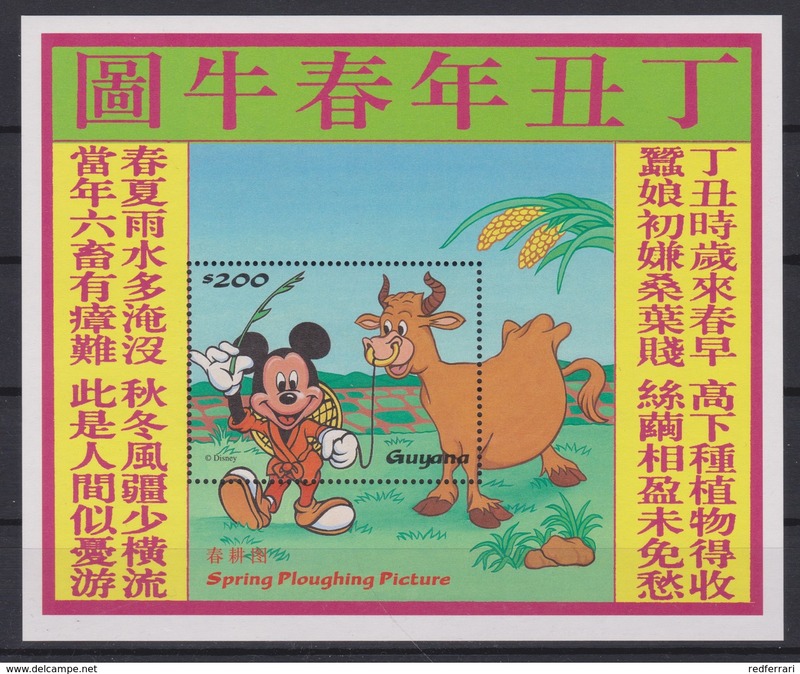 2341 WALT DISNEY - GUYANA ( Spring Ploughing Picture ) Chinese New Year , Year of the OX . 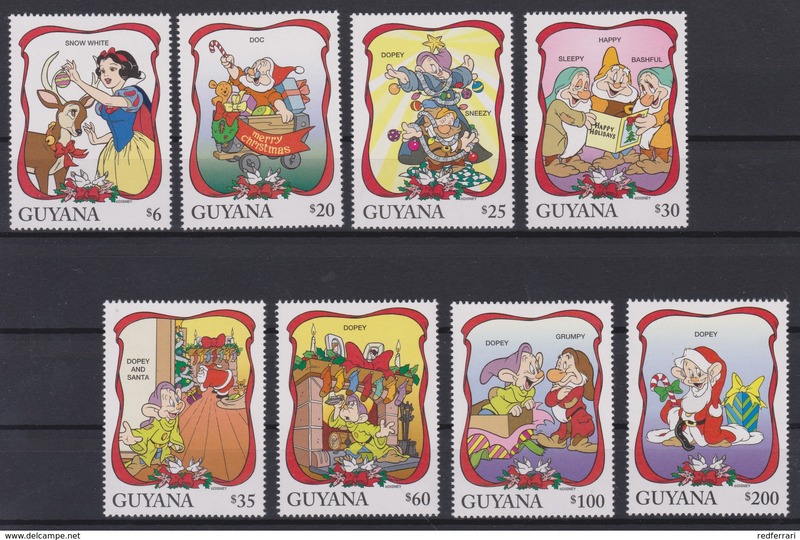 2340 WALT DISNEY - GUYANA ( Christmas 1996 ) Snow Whit and the Seven Dwarfs / Dopey is the star,and Gift of White Snow. 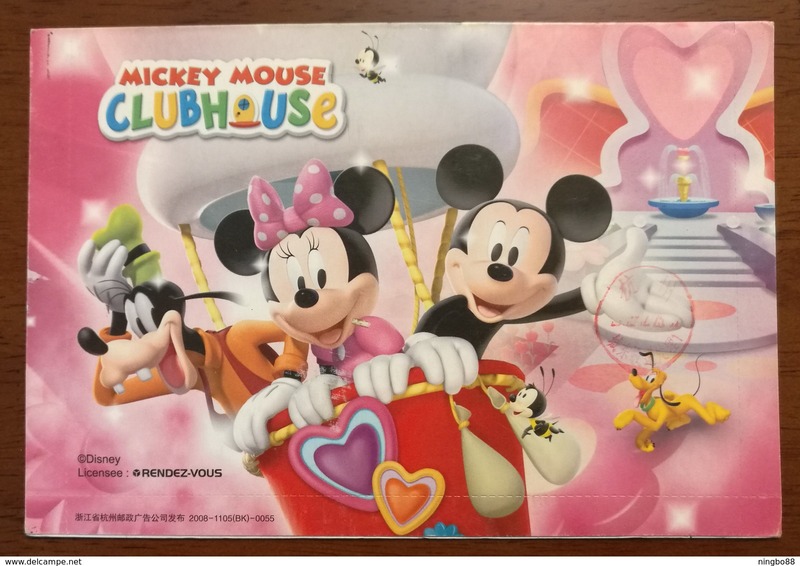 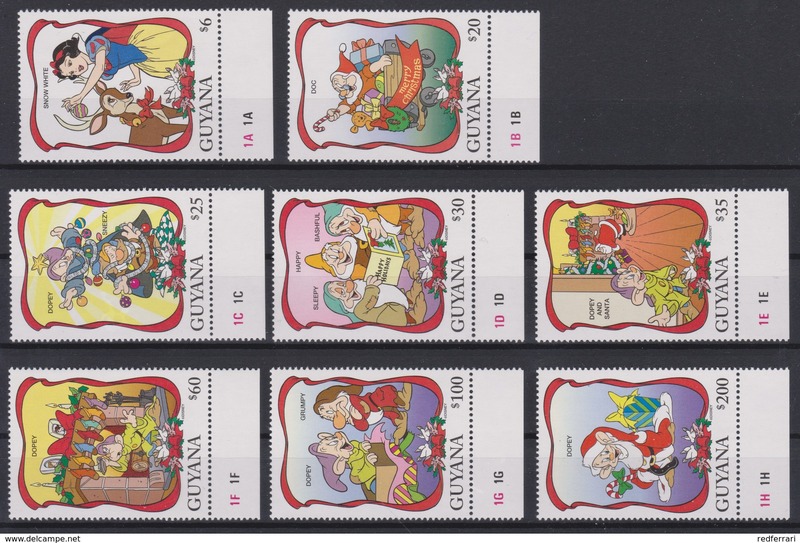 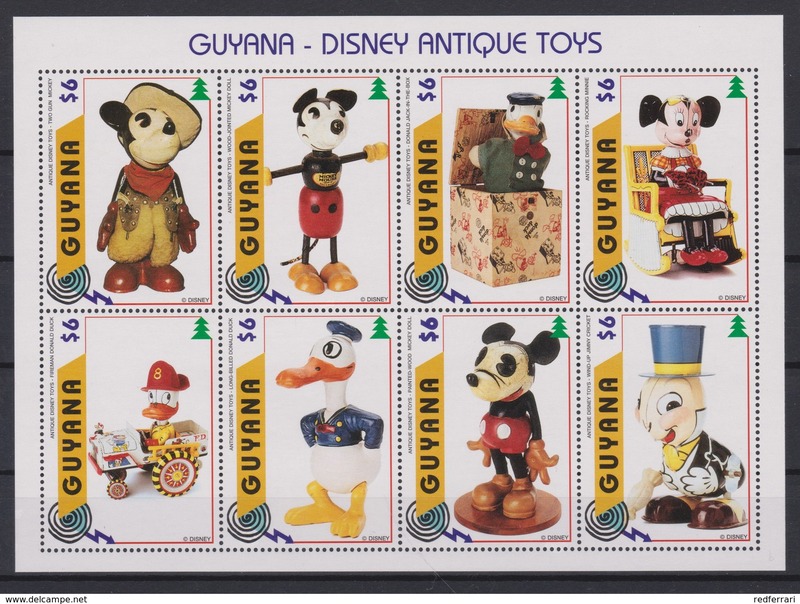 2339 WALT DISNEY - GUYANA ( Merry Christmas 1996 ) Snow Whit and the 7 Christmas Free Dwarves ..
2338 WALT DISNEY - GUYANA ( Merry Christmas 1996 ) Snow Whit and the 7 Christmas Free Dwarves ..
2337 WALT DISNEY - GUYANA ( Disney Anticque Toys ) Pluto Wind-Up / Mickey Mouse Piano . 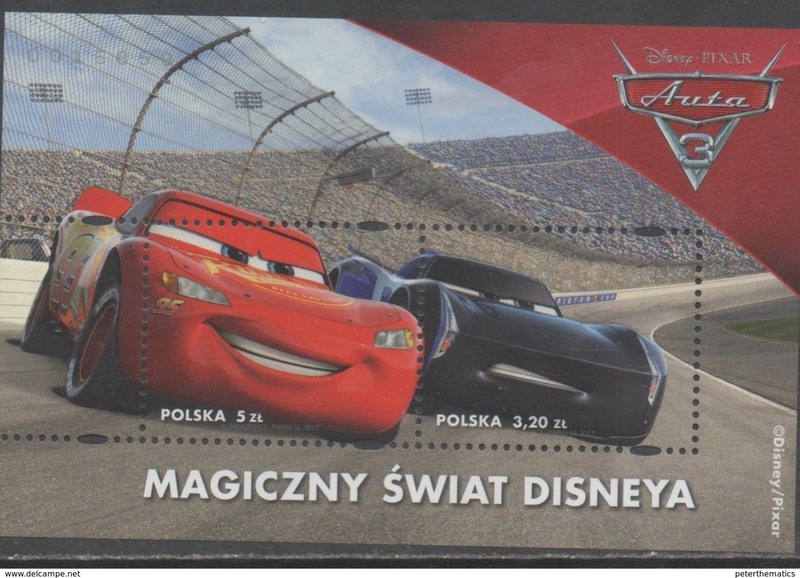 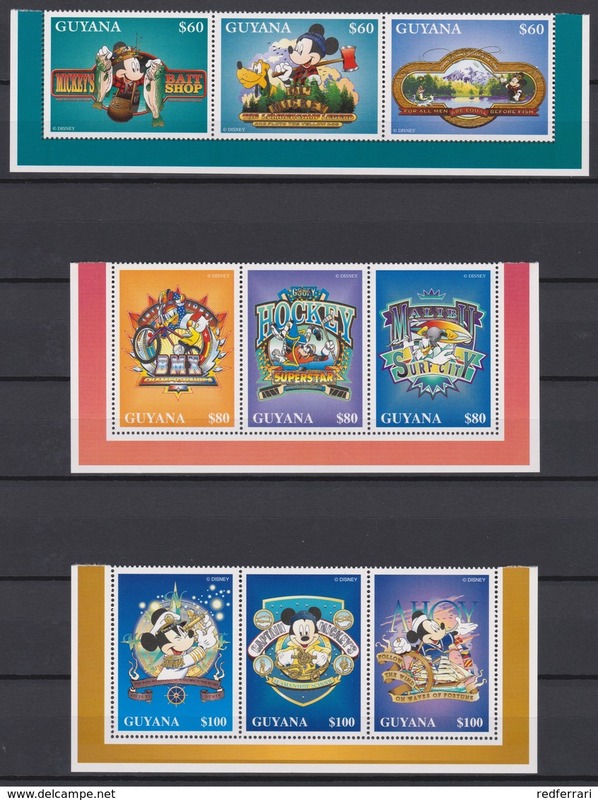 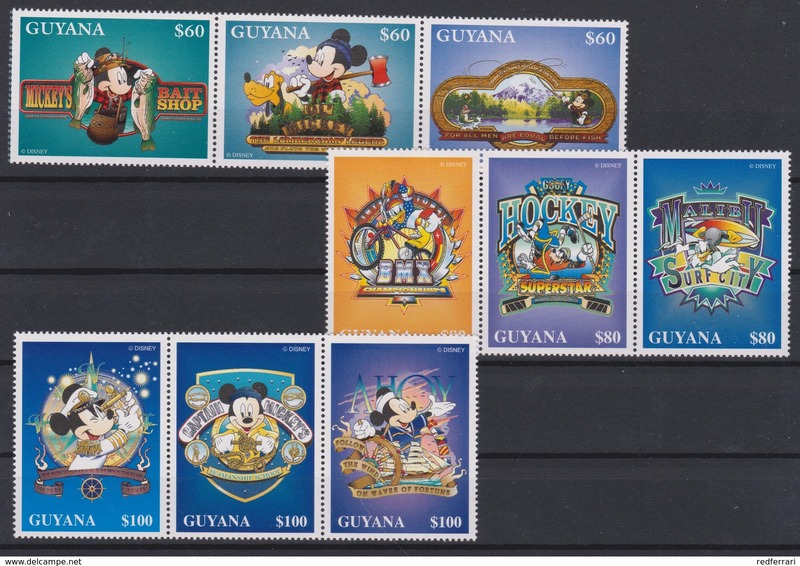 2333 WALT DISNEY - GUYANA ( Superstars of Sport / Mickey and the Marine/ Mickey in the outdoors / Rock & Ice . 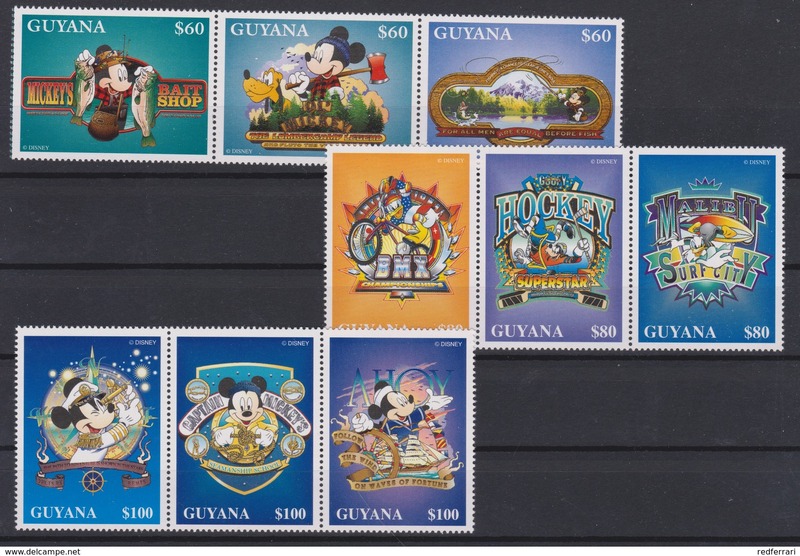 2332 WALT DISNEY - GUYANA ( ALADDIN ) The Cartoon Characters . 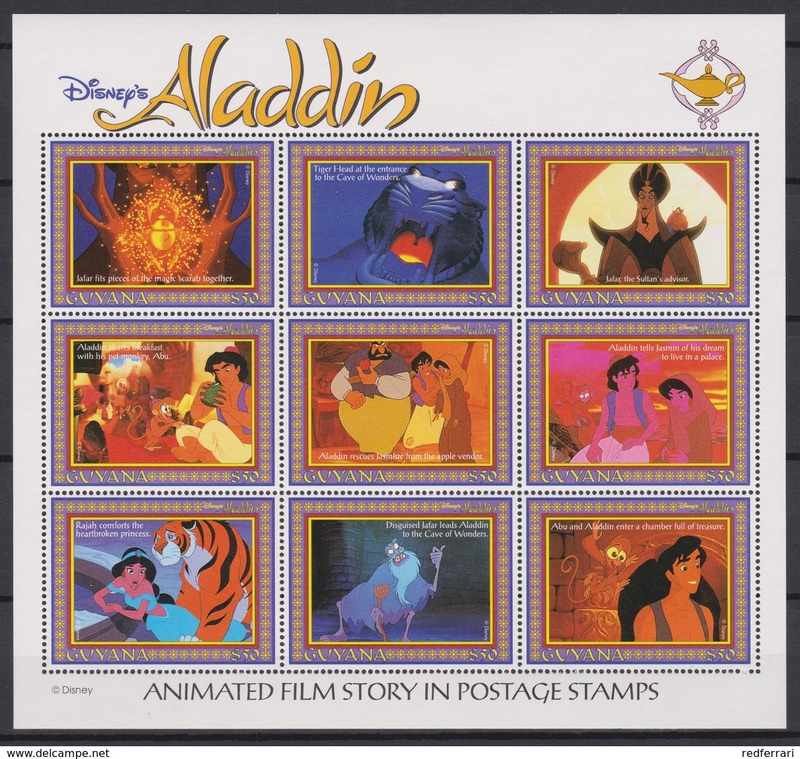 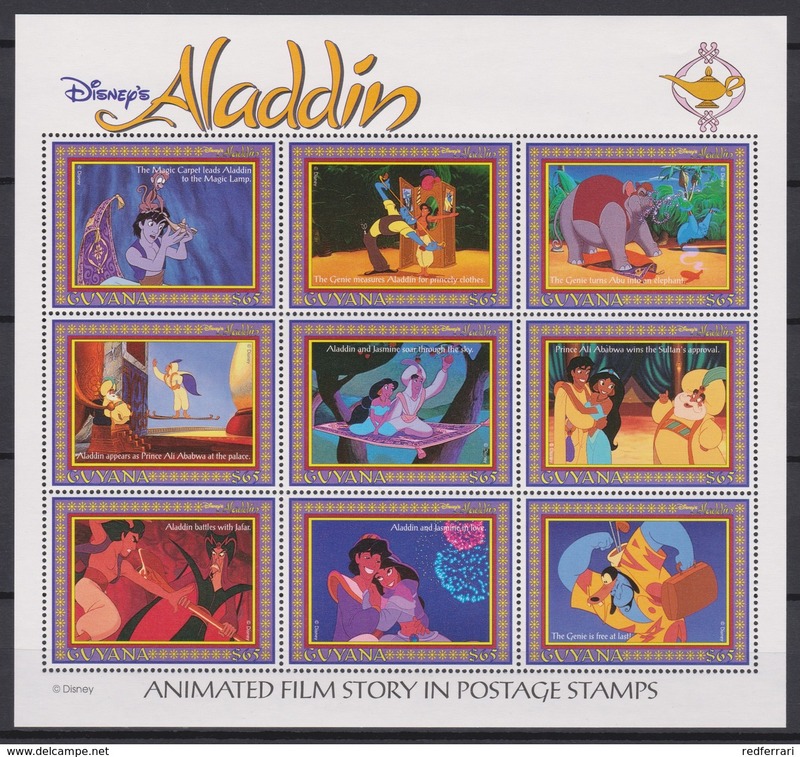 2330 WALT DISNEY - GUYANA ( ALADDIN ) and the Wonderful lamp "after the tale oneThousand and one Nights" . 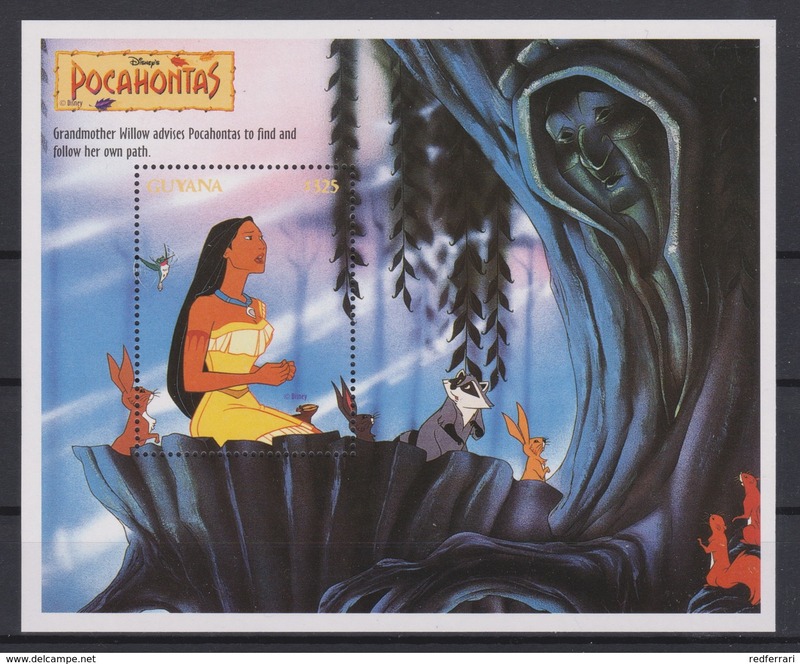 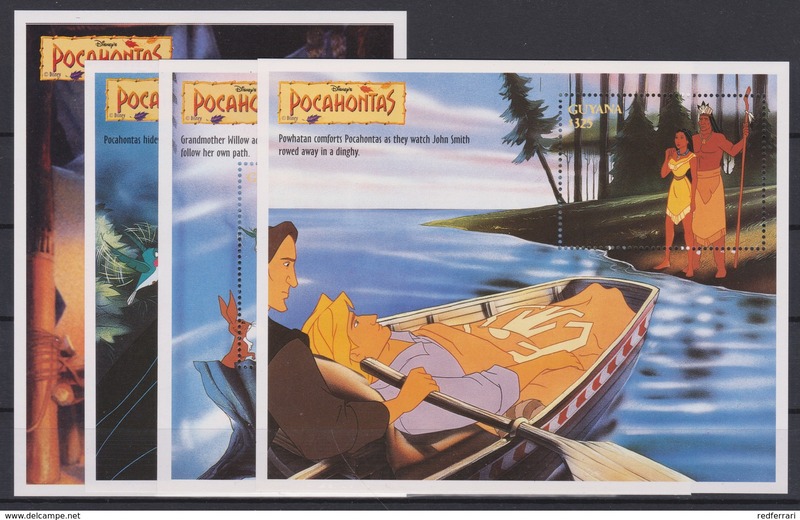 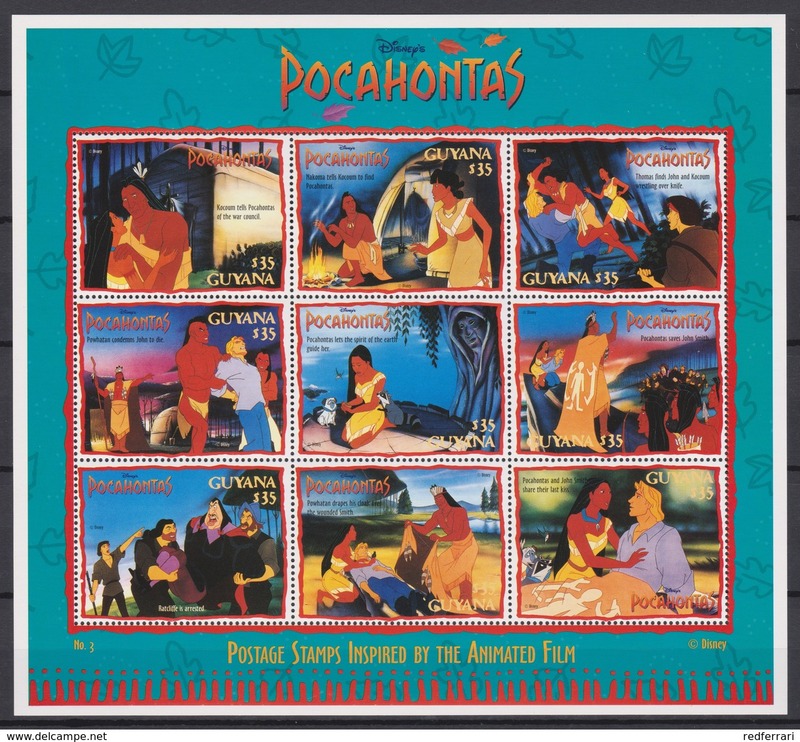 2329 WALT DISNEY - GUYANA ( POCAHONTAS ) Meeko and Flit - Pocahontas and Jhon Smith .